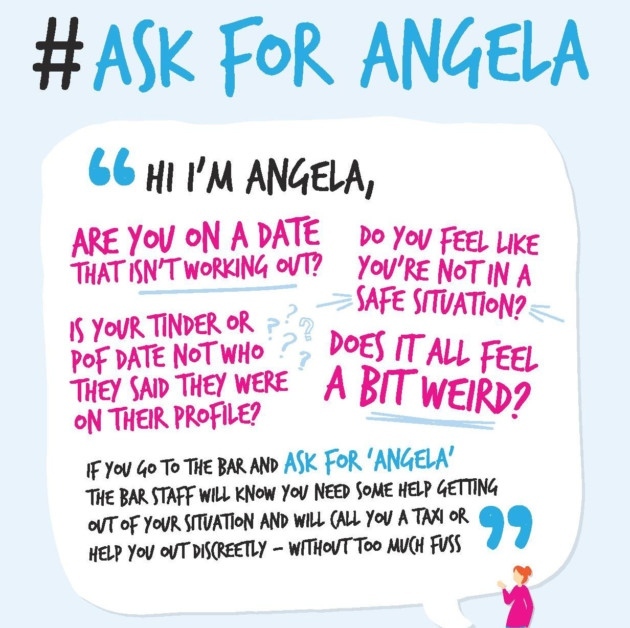 The Ask for Angela campaign encourages anyone who feels unsafe in hotels, pubs, clubs or restaurants to ask a staff member if they can ‘speak with Angela’. The initiative is led by Consumer and Business Services, in partnership with the Office for Women, SA Police, The Australian Hotels Association SA and is supported by YWCA, Yarrow Place and Music SA. ‘Angela’ is a recognised code word. If someone asks for ‘Angela’ in a venue, staff will respond with assistance. The Ask for Angela campaign was launched in South Australia earlier this month. It sends an important message about the kind of community we want to live in. Respect and safety is everybody’s business — we all have the right to enjoy a night out, and every single one of us should expect to be treated with respect and to feel safe. Find out more about Ask for Angela on the Consumer and Business Services website.